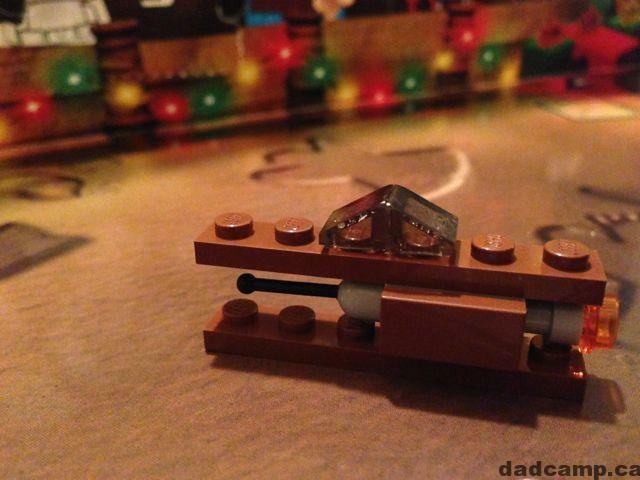 The Star Wars LEGO Advent Calendar wraps with Jango Fett becoming Santa Claus and celebrating the spirit of the season. There’s hope for us all. 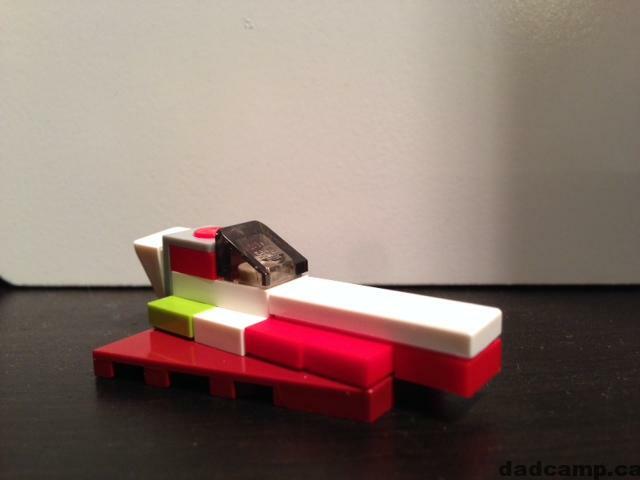 It’s easy to fly around space in a one horse open sleigh when it has a jet-pack like this one from the Star Wars LEGO Advent Calendar. 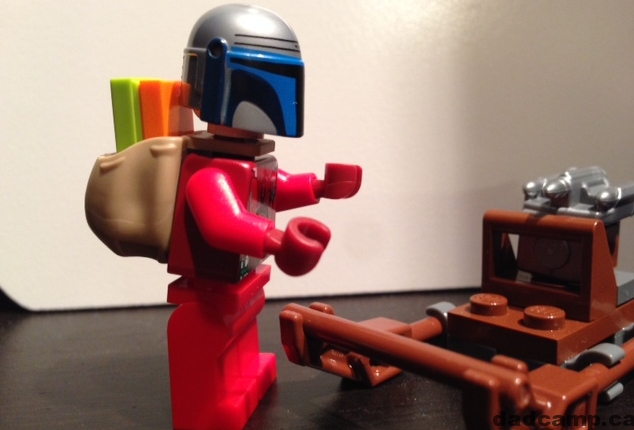 Boba Fett’s Slave 1 is luring behind door 21 of the Star Wars LEGO Advent Calendar. Obi Wan’s Jedi Starfighter gets the silver medal as best mini build in the Star Wars LEGO Advent Calendar behind the Koro-2. 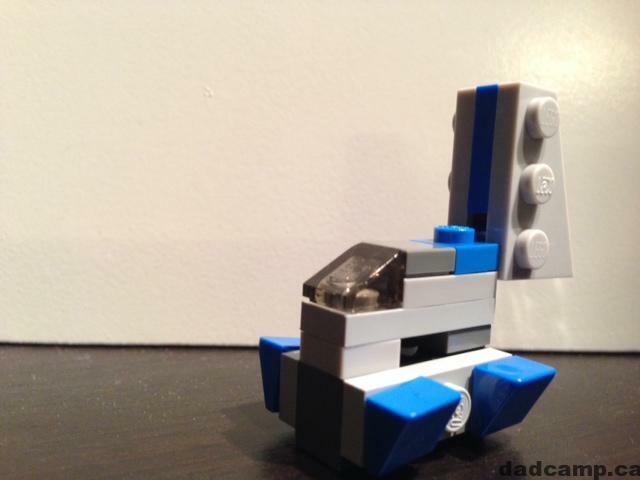 A funky little blue ship popped out from door number 19 this morning in the Star Wars LEGO Advent Calendar, a separatist shuttle – driven by Lucien Bouchard. 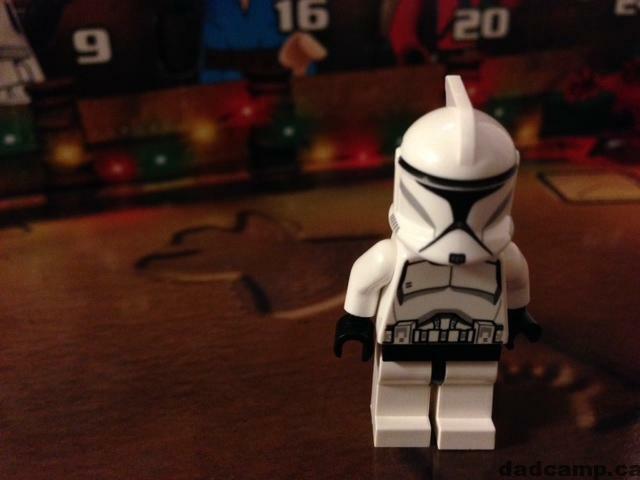 The Scout Trooper from Return of the Jedi was hiding behind door number 18 of the Star Wars LEGO Advent Calendar. What the heck? 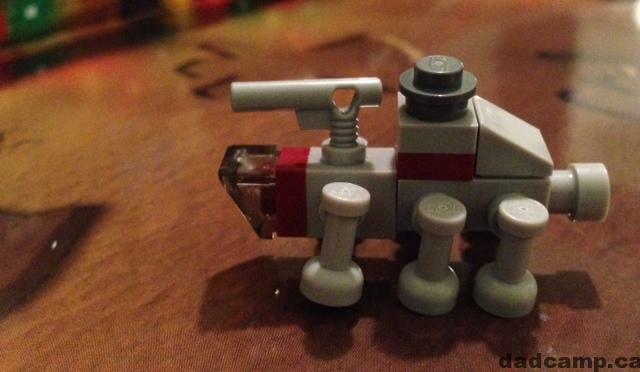 Day 17 of the Star Wars LEGO Advent Calendar is Padme’s J-Class Star Skiff. Really, though, it looks like an Antonov, the world’s largest plane. 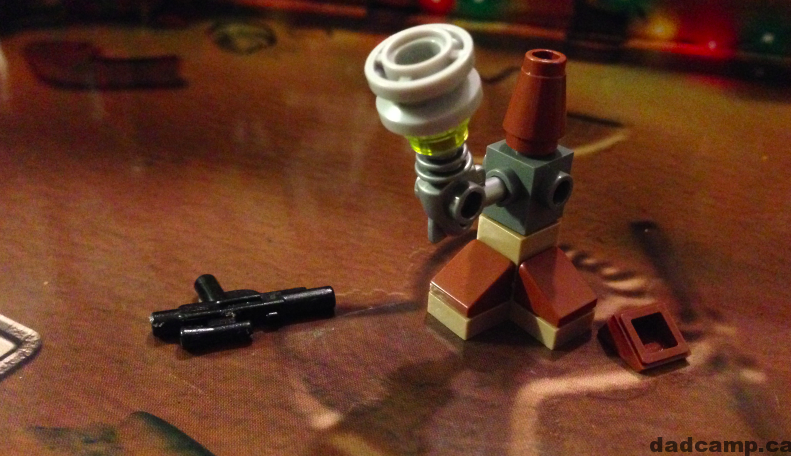 A weapon rack for our Geonosian Pilot sits behind door number 16 in the 2013 Star Wars LEGO Advent Calendar. 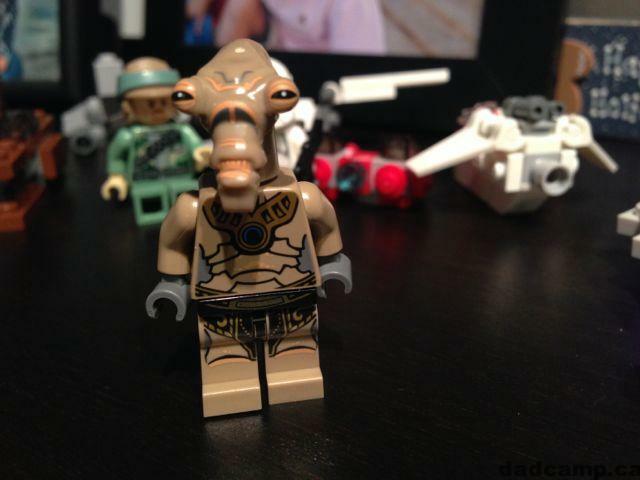 Door number 15 brings us a wingless warrior, the Geonosian Pilot to go alongside the starship unveiled in door 14. 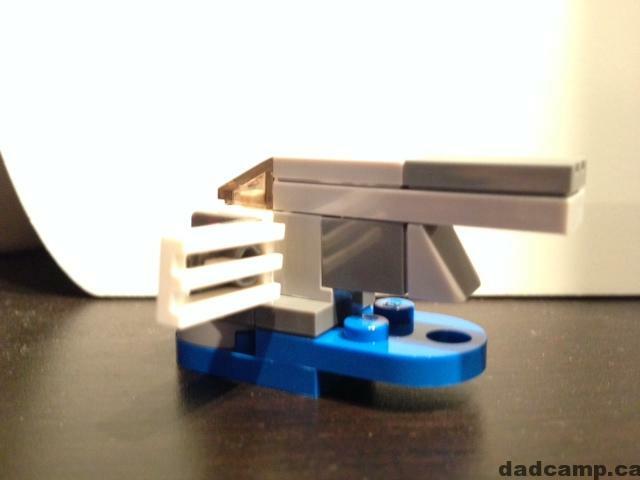 The Geonosian Fighter is a pretty sweet sandwich of a ship hiding behind door 14 of the Star Wars LEGO Advent Calendar. 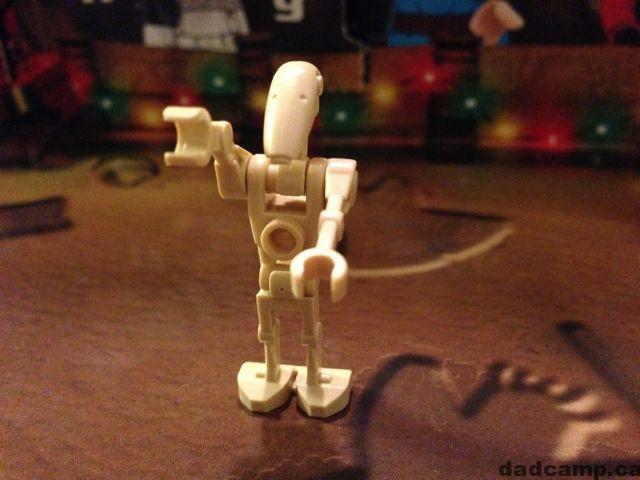 This intricate battle droid sits behind door number 13 of the Star Wars LEGO Advent Calendar with another Clone Wars character from the dark side. 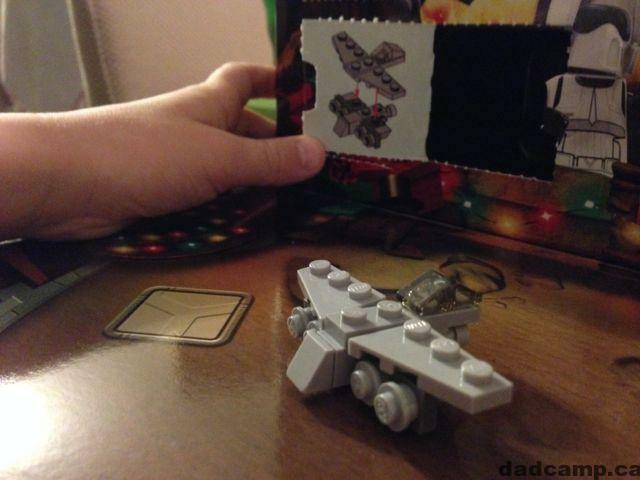 December 12 in the Star Wars LEGO Advent Calendar brought us a dropship. It looks really cool, but its job in the Star Wars saga was really just to drop supplies, droids, etc. 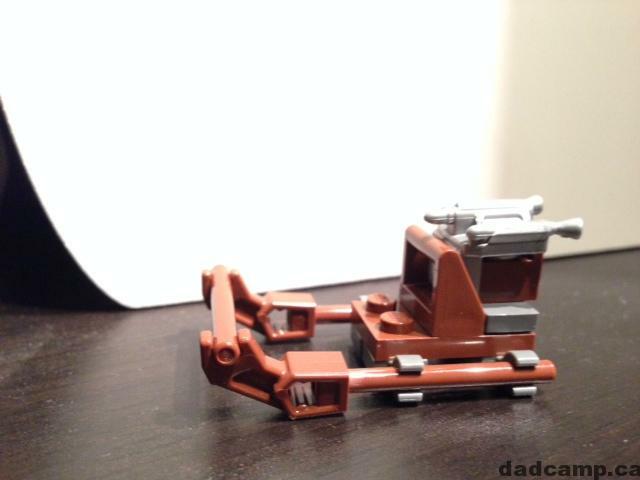 The 2013 Star Wars Lego Advent Calendar December 11 offering is an All Terrain Tactical Enforcer, or AT-TE. The boys thought it was a mini AT-AT. 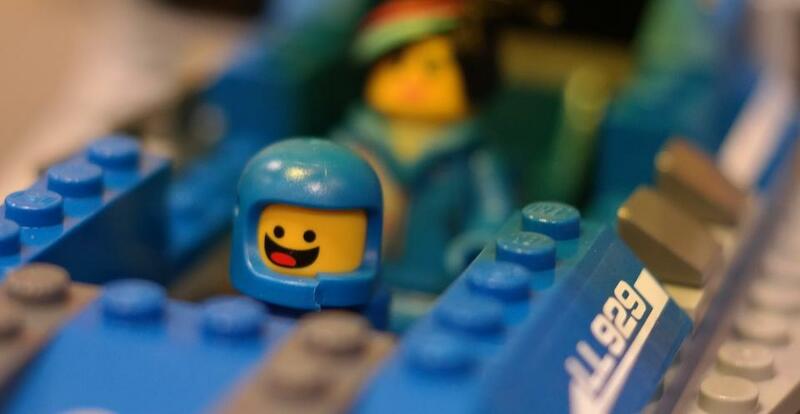 Day 10 of the 2013 Star Wars Lego Advent Calendar brings us another minifig. 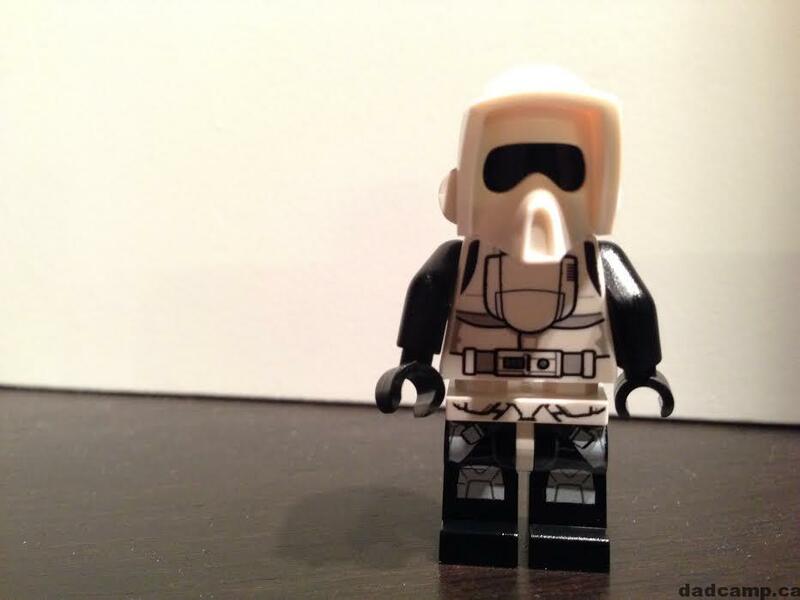 This Clone Trooper has an angry face underneath his helmet. 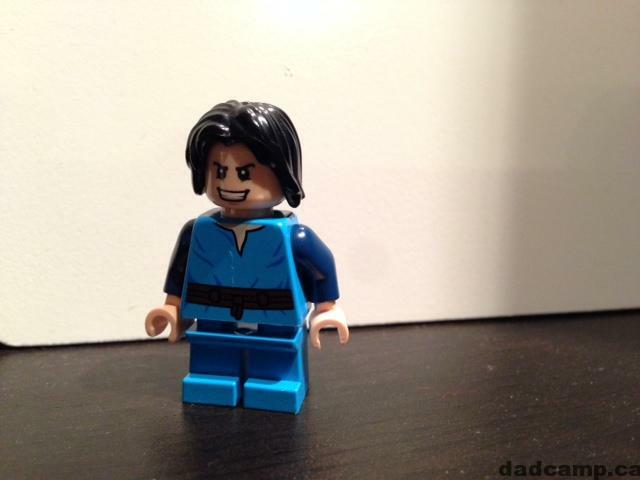 Grrr.